Effective against jet lag, circadian rhythm problems and seasonal affective disorder (SAD). Used at key points during the day. Other ingredients: Mannitol, magnesium stearate, cellulose, silicon dioxide, mint flavour. Each tablet contains 2.5 mg of melatonin. adults. Take one or two tables just before bed. Allow the tablet to dissolve slowly under the tongue. 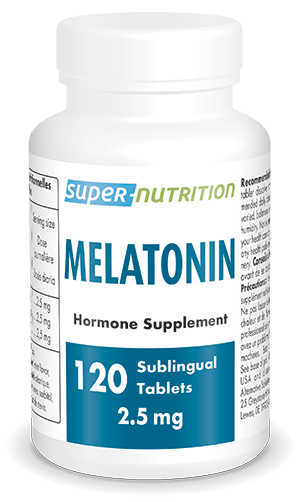 Each tablet contains 2.5mg of melatonin.